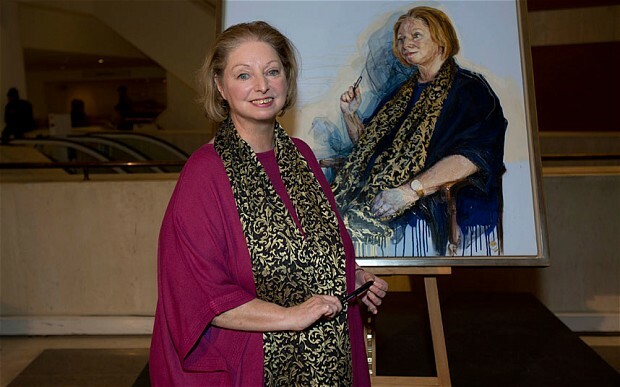 On February 24, a portrait of Booker prize-winning author Hilary Mantel by Nick Lord will be on display at the British Library – making it the first painting of a living author to be displayed there. Although she had complained in the past that women are depicted in portraits as the “passive recipients of an artist’s gaze or a camera’s gaze,” she said she is “thrilled” with the Mr. Lord’s work. The 25-year-old artist won the Sky Arts Portrait Artist of the Year competition and received 10,000 pounds to paint Ms. Mantel’s portrait. Read more in the NYT and Telegraph articles. And check the EPL catalog for books by the acclaimed author. Hilary Mantel’s Booker Prize winning novels Wolf Hall and Bring Up the Bodies are being adapted for the stage by the Royal Shakespeare Company. Adapting the 500 page books into two-and-a-half-hour plays has been challenging but the producers are determined to retain as much of Ms. Mantel’s prose as possible, as well as to prove that “theater can bring the books to memorable life.” The plays are in preview now, although most seats are already sold out. The BBC is also planning to film a mini-series of the novels this year. Read more about the production in this NYT article. Having recently won her second Booker prize, Hilary Mantel appeared on Terry Gross‘ show to discuss her latest book, Bring Up the Bodies. This work is a sequel to Wolf Hall, which also won the prestigious award. When asked about her focus on Cromwell and Tudor England, Mantel responded that historians have always realized how central he was to Henry VIII’s time, but popular audiences tend to think of other figures as being more important. Enlightening talk from both a historical and a literary perspective. Hilary Mantel was awarded the Booker Prize yesterday for Bring up the Bodies. She won her first prize in 2009 for Wolf Hall and this is the first time an author has been recognized for a sequel. She also is the only author to win twice in a such a short period. 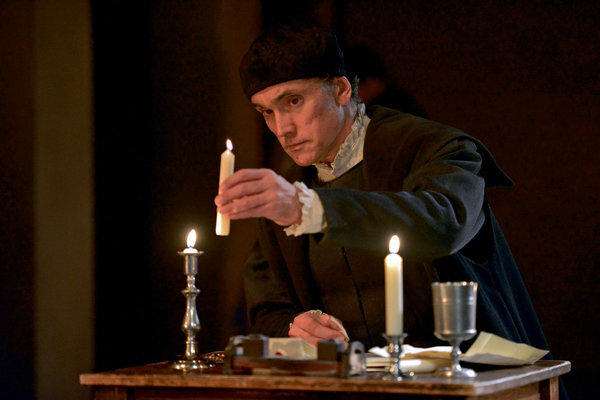 The novels are historical fiction based on the life of Thomas Cromwell, Henry VIII’s chief minister. Jeet Thayil, Narcopolis -Shira S.